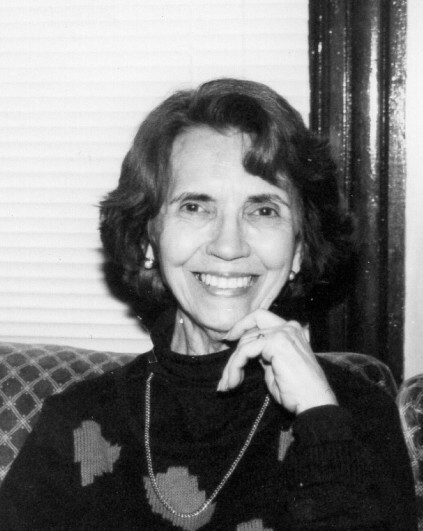 Josefa V. Rodriguez, of Red Bank, passed peacefully away on March 28th 2019. Born in Dos Hermanos, Cuba, the daughter of the late Jose Ramon Villa and Hersilia Campo. She married Mariano Rodriguez who passed on in 1991. As a music teacher, she spent many years working at something she loved, teaching piano. Her interests included horseback riding, swimming, walking daily, sewing, and crocheting; also, reading the Bible, and a lively interest in politics. Josefa’s legacy of strength, kindness and compassion will live on in her children, her daughters, Carmina Rodriguez Villa and Ana Rugo, and her son, Mariano Rodriguez. Also, six grandchildren: Yvette, Robin, Danika, Francesca, Brian, and Alex; and ten great grandchildren: Nathanial, Anthony, Zachary, Brianna, Emma, Dana , Sloan, Darby, Savanah, Evangelie (“Evie”), and two great-great grandchildren, River and Tucker Pax. Her memory will also be cherished by her brother, Ramon Villa. In addition to her parents, she is preceded in death by two siblings, Jose “Pepe” and Maria. Visitation will be held at the John E. Day Funeral Home, 85 Riverside Avenue, Red Bank, NJ 07701 on Sunday, March 31st from 2:00 to 5:00 PM. A Mass of Christian Burial will be celebrated on Monday, April 1st 11:30 AM at St. Anthony of Padua RC Church in Red Bank. Interment will follow at Mt Olivet Cemetery in Middletown. In lieu of flowers, memorial donations may be sent to St. Jude’s Children’s Research Hospital, Memorials Processing, 501 St. Jude Street, Memphis, TN 3815-9959.